Dharmakirti (Skt. Suvarṇadvīpa Dharmakīrti; Tib. ཆོས་ཀྱི་གྲགས་པ་, Chökyi Drakpa, Wyl. chos kyi grags pa) or Dharmapala (Wyl. chos skyong) of Suvarnadvipa (b. 10th century) was the most important of Atisha's teachers. In Tibetan he is known simply as Serlingpa (Tib. གསེར་གླིང་པ་, Wyl. gser gling pa), literally 'the master from Suvarnadvipa'. 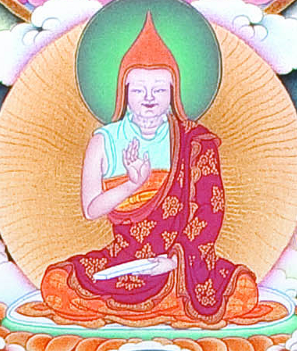 Atisha is said to have stayed with him for twelve years receiving teachings on Lojong. He wrote two texts on the Bodhicharyavatara summarizing its main points. This page was last edited on 14 September 2018, at 17:26.